Whoah, it looks like we’re going straight up a mountain here! 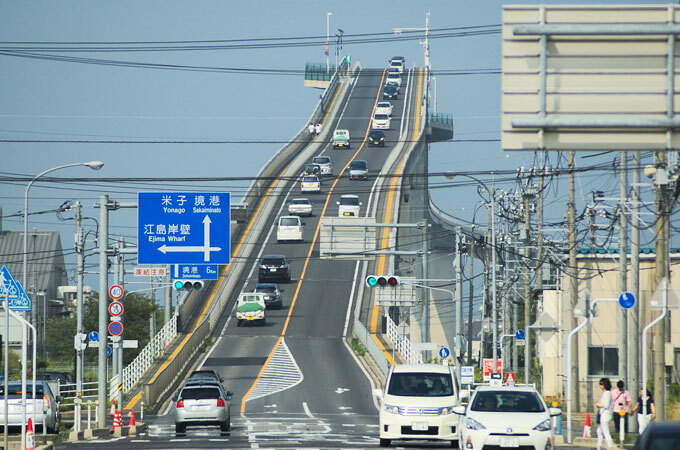 Meet the Eshima Ohashi bridge in Japan, a bridge who has the adorable nickname ‘rollercoaster bridge’ in England and America. And if I look at it I can only agree with them. Officially speaking it’s (right now) the third largest rigid-frame bridge in the world: 44 metres tall. 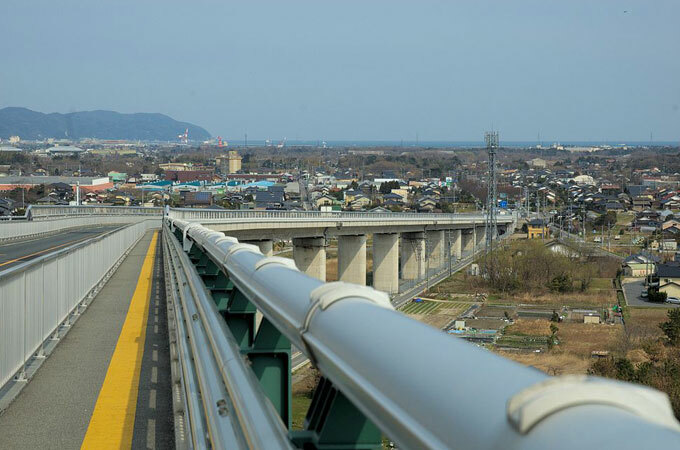 It is a mile long across Lake Nakaumi and connects the city of Matsune with Sakaiminato. 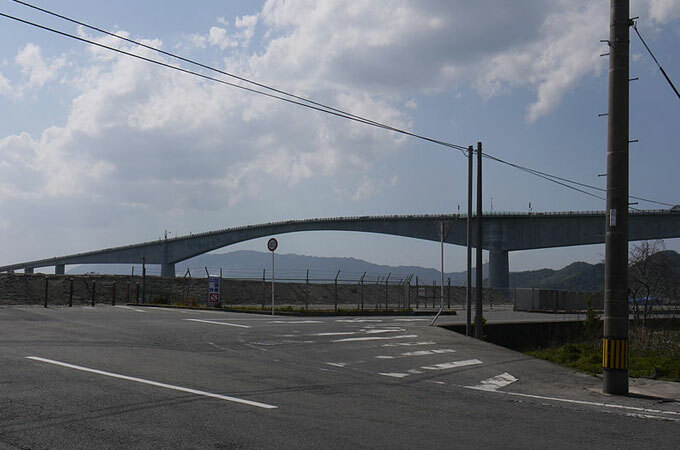 It’s build this way so ships can pass underneath it, which means you’ll have to drive up a hill with a gradient of around 5 to 6 percent (one side is 5.1 and the other 6.1 percent) to get across. I probably wouldn’t mind driving that thing, but it sure looks like you’re riding towards a wall. Buckle up and let’s go! A Flower In Japan is a website about everything related to Japan. (sushi cupcakes anyone?) or if you’re just looking for J-Rock or Visual Kei, I’m collecting it all in this blog. Also, I have a knack for kawaii stuff so if you know a product I just have to know about, send me an email 😉 ! Copyright © 2019 A Flower In Japan.